Good News; Alaska Highway Gas Prices should be considerably lower this summer and the prices of gas and diesel in Alaska is expected to be at a 6 year low too. Gas prices in the April through September are expected to be 32 percent lower than they were during the same period last year. ALASKA HIGHWAY — Travelers will be keeping more of their greenbacks in their wallets in 2015 thanks to what is forecast to be some of the lowest gas and diesel prices in 6 years according to the Energy Department. That's great news for everyone from visitors to business owners and even the government wins too. Travelers will spend less on fuel in 2015 allowing them to experience even more of the Yukon and Alaska than they could in past years. Vacation budgets can allow for more activities, longer stays and e4ven some side trips that might have been excluded if the fuel budget was eating away at the pocketbooks. Between May and September when the bulk of us will do our traveling, fuel prices are projected to be at their lowest. Nationally, the forecasted price for this period in the states is $2.45 per gallon. This will project an average price in Alaska around $3.20 per gallon. For this summer, analysts expect gasoline in Alaska to average $3.18 per gallon, down from $4.06 per gallon during the same time period last summer. When demand for gasoline typically reaches its high point in July and August we could see a small rise and fall thought this is expected to be minimal. These lower prices are a result of worldwide crude supplies growing faster than demand. Much of this new oil is being found in America as well as in B.C. and Alberta Canada. While this increased supply has been pushing the price of crude oil down, this forecast could substantially change if the current oil related sanctions imposed against Iran are lifted as part of ongoing talks. Iran could potentially add huge amounts of cruise into an already saturated market. U.S. drivers are expected to guzzle only 1.6 percent more gasoline this summer than last. Thanks to the lower prices, households are expected to spend the least on gasoline since the summer of 2004, according to the U.S. Energy Information Administration. Each person is projected to spend about $700 less on gasoline in 2015 over the same time last summer. RVers will see even more of a savings if driving about the same number of miles as previously. Another factor is found in the vehicles we are driving. Newer cars and trucks are considerably more fuel efficient than our previous vehicles were. While we do drive more miles per year, overall our usages are down thanks to the increased mileage. Below is a chart showing the current gas and diesel prices in the Yukon on this date, April 8, 2015. Prices are shown in U.S. Dollars reflecting a $1.00 US Dollar equaling $1.26 Canadian Dollars or $1.00 Canadian Dollar equaling $0.80 US Dollars. Note: There are 3.78541 liters in 1 US Gallon. 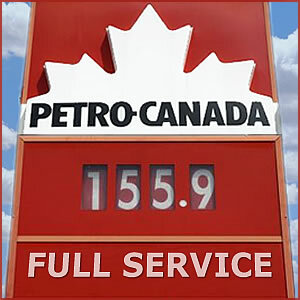 Liters are shown in Canadian Dollars and US Gallons are shown in US Dollars.